We strive to assure you and your guests an exhilarating experience on the Bayou’s of South Louisiana which are know for some of the best fishing areas in the world. If you are new to Bowfishing, or are curious as to exactly what it is that we do, Wikipedia describes the definition as such; “Bowfishing is a method of fishing that uses specialized archery equipment to shoot and retrieve fish. Fish are shot with a barbed arrow that is attached with special line to a reel mounted on the bow”. Now by definition, that does explain the basics of Bowfishing, but booking a trip with us is so much more than just that! Your guide throughout your bowfishing adventure, Captain Josh Galt, has over 10 years fishing & guiding experience. Born and raised in Plaquemines Parish, Louisiana, Captain Josh knows the lakes and bayous of Plaquemines Parish about as good as any lifelong resident from the area. So you can guarantee, if there are fish to be found, Captain Josh knows where to find them! 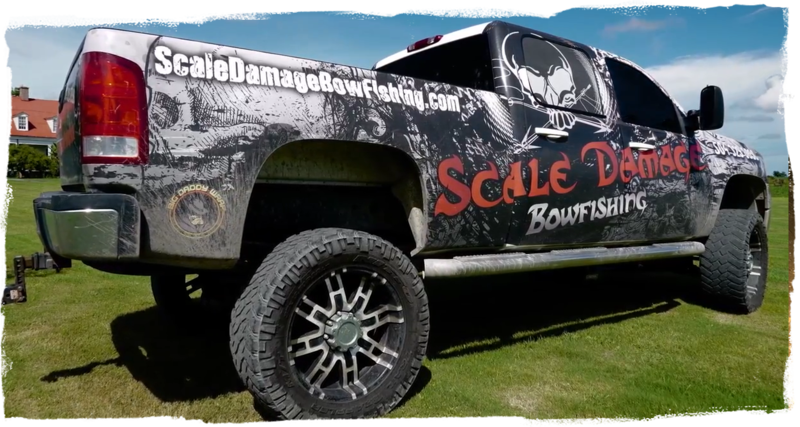 So no matter if you have fished all of your life, or have never stepped foot on a boat, there is no experience necessary to book a trip and have an exciting time with us here at Scale Damage Bowfishing. Our super-sized, state of the art airboat boasts a modest 450 horsepower engine, measures, 22 feet long, 9 feet wide, and can handle a group of up to 6 fishing at once. We launch shortly after sunset in Plaquemines Parish, Louisiana, and the trips usually last anywhere from 4 to 5 hours. We supply everything you need, just be sure to bring a large ice chest so we can haul your limit of fish back to the dock! 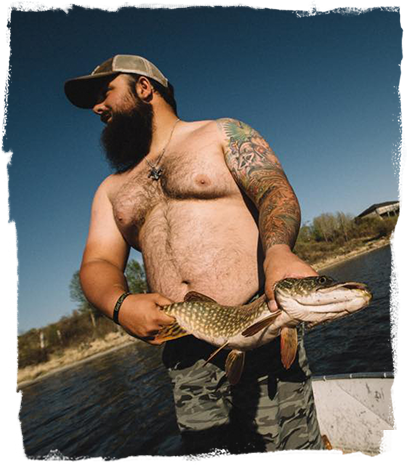 We fish year around, so whether you are looking to bring the guys or the family out for some good times on the water, planning a bachelor/bachelorette party for a friend, or wanting to take out a corporate group, give us a call to book your next outdoor adventure!